To begin with, I am going to put in a little disclaimer for those that haven’t read my post on this topic: Let’s hope this is better than the book and the film… not that I have read or seen either. …hence why I need the wine. This red blend is a Petite Syrah out of California. The 50 Shades of Grey Red Satin sells for around $16 a bottle. Smell: Actually quite inviting. Really sweet notes, almost like a chocolate covered cherry if that had a distinguishable scent to it. Taste: Not really flavored strongly in any particular area. The beginning, body, and finish are all fairly similar in tastes. Sweet but has the bite of a fresh berry in combination. Slightly dry, oaky finish, which an almost bitter aftertaste. I was not overly impressed with the flavor profile of this wine. While the taste itself was enjoyable, there wasn’t many levels of flavor and it was very one note, not to mention the unfavorable aftertaste that I got from it. It is very smooth though, which is a plus side to this particular wine. Those that like simple wines that are just light in flavor and easy to drink quickly, I would say that this is a wine for you! I would give this a 3/5 for my personal tastes. Not terrible, but not the best either. Side Note: I will be starting research on a post I want to put together that lists various wines from around the country that people love. If there is a wine that comes out of the state you live in or near you that you absolutely recommend, please list it below! thank you for this review I’m in a wine club so this is right up my alley. I’m not much of a red wine drinker and more of a rose drinker but when I find a red wine that I like I will usually stick to that. You’ve definitely made me interested in trying this wine and bringing it to my wine clubif not for the name alone. I love wine! I have a whole bunch of reds reviewed here on the site. I highly suggest Dreaming Tree wines, especially “crush” which is their red blend. 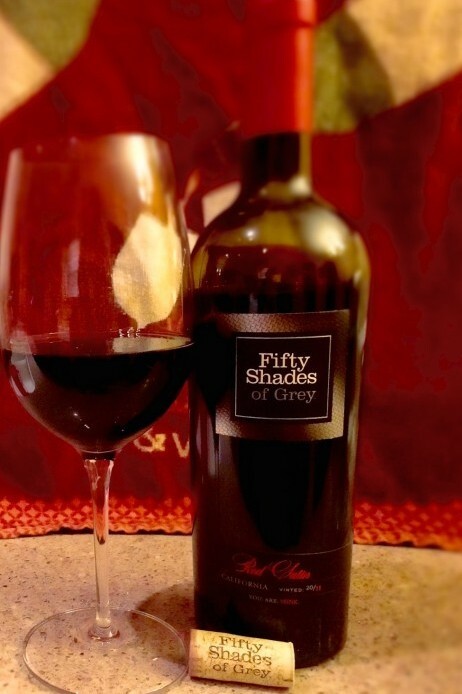 I find it so odd that there is a 50 shades wine! I have read the book and seen the movie and the sentence of your review where you score the wine could also been the review for the film and books! lol. I’ve never seen this one in our area. Sounds like a decent every day wine to check out! There are so many favorite wines that I have from Oregon, but my three favorite right now: White Pinot Noir from Hawks View Cellars, 100% Stainless Steel Chardonnay from Stoller Vineyards, and the Cuvee Alexandrine from Phelps Creek Vineyards. So happy to have found your blog. Cheers! Sounds a bit sweet for me! My husband gave me some AC/DC wine for Christmas and I actually really liked that! What type of wine was it that he gave you?